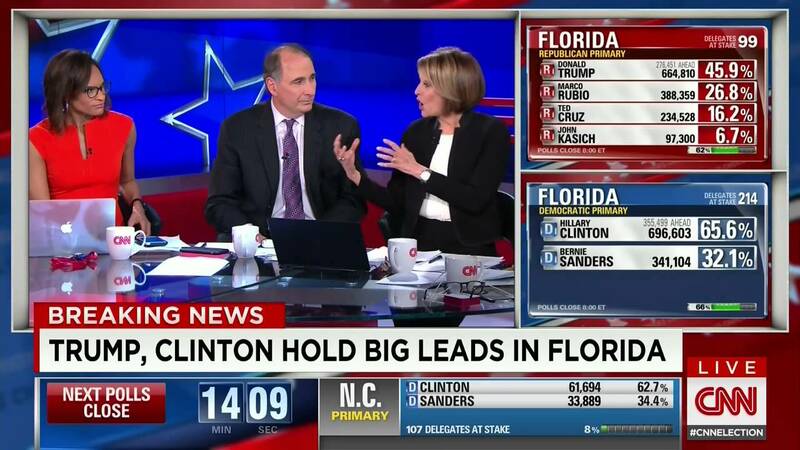 I watched David Axelrod, Obama’s former campaign ad guru, at CNN doing a ‘Killing me softly” version on Hillary Clinton (HC) last night, the NY primaries day. It looked ominous because he proved in the 2008 primaries that he is an expert at killing Hillary. He kept saying that HC, in order to not provoke Sanders’s followers, whom she may need if she wins the nomination, should not respond to his attacks against her and should not get angry. He dismissed Sanders’ dirty tactics of character assassination and lies against her. The implication was that she should be a good-girl and ignore the bully. But that’s how he, Axelrod, ran his Obama campaign against her: he made her look ‘bitchy’ whenever she responded to Obama’s character assassination tactics. It’s no secret that Obama and Axelrod, together, and Hillary are not in ‘good terms’ with each other. That’s how Hillary is going to lose the elections: the MSM, Obama’s representative (Axelrod) there and the GOP will shred her to smithereens with misogyny, character assassination and outright lies. Today, less than 16hrs since her NY victory, the WaPo has this headline: The Take: Clinton got what she needed, but her image is underwater. The NY Times asks Sanders to stay in the race but makes no reference to his negative campaign threatening to handle the presidency to Trump. The MSM is part and parcel of the presidential election process. They have more power to shape opinions than the politicians themselves. If the MSM is against you, you have an uphill battle to fight. whenever Hillary tries to focus on Trump, Bernie gets under her skin an starts accusing her and bringing the emails, and she then has to pivot back to Bernie to respond to the accusations”. Axelrod went actually mute: he couldn’t respond. The MSM is not 100% efficient, as shown by Trump’s and Hillary’s continued staying power despite the personal attacks. But the fact that Sanders won Upstate New York prove that they have a powerful effect. The MSM has never criticized Sanders nor vetted his record; they attack Hillary if she responds to his smearing campaign. That’s how he won Upstate New York. You can check my research on WaPo’s negative articles on HC and the positive for Sanders here. Axelrod and Gloria Borger talking to each other. Old snapshot, clearly. I don’t like that Bernie guy, but what is going there with the super delegates is worse, worse here. The man is not the moron we all thought he is. He is effective in his conning. The purpose of that statement he made was to lure the berniebots whom he knows are expressing the idea of supporting him and not Hillary. All he has to do is sweeten his bait and they will flock to him. The honey in this case is ‘victimhood‘: he, just like Sanders, is a victim of the ‘establishment’. He wants to commensurate with Sanders’ followers. ‘I have more in common with you than you with Hillary’, that is his message to them. Finally, as I have commented all along, the MSM is reporting the true nature of the “voters anger”, picking up from Larry Summers letter to the voters: the working class is feeling the pressure of globalists control of the economy. Outsourcing jobs, etc, is killing the working class and they are angry. The two-party system has been a failure as a tool for the working class: they are tired of electing people who just work for the elite once elected. This discontent has been boiling since 2008, when the elite groomed Obama as a populist with the “hope and change” mantra to pacify the electorate. It worked then, they are having more problem with two-party system this time. They are not outsiders, they are just two big mouths riding the populist discontent, but only Trump embodies the ideological war. He represents the centrists in the GOP, as opposed to the globalist faction and the neo-conservatives, the cut-throat conservatives who are tripping over each other to show they will screw the working class better. Trump is riling against the globalists, their outsourcing jobs, etc. Angry voters like that, but it makes the globalist angry. Trump has become such a threat to the globalists (because he is the voice of the people affected by the globalists policies), that they are coming out making not so veiled threats to the voters. My opinion is that the globalists (Summers, e.g.) will use dirty tactics to impair Trump. They will use provocateurs at Trump’s rallies, which they are using now, to create an environment of violence to pit the working class against each other. Sanders is being by the MSM, despite them crying to the opposite. Even the Brookings Institute has crowned him as their preferred socialist. Sanders is NOT a threat to them, only Trump is. Sanders is a tool, his job is to keep the voters in the two-party system with the illusion that they can change the democratic party. The KKK, Farrakhan and Latinos supporting Trump is an aberration only if one is not aware of the politics of class wars. As I have discussed, the two-party system is all the working class is allowed to use to express their anger over class issues; that’s why these opposing groups are with Trump. They are not with Sanders because he scares them with ‘socialism’. Hillary is the balancing act for the elite: they may turn to her to quash Trump, unless he is saddled and go the way of the elite, in which case HC is toast. They hate her, they rather go with Trump, if he behaves. So, how will this end? Who knows, but there are forces and interests that can’t be named openly by the MSM. The class wars is what they can’t mention. That’s what’s going on. Will the working class finally forms a third-party? That’s the elite’s fear. That’s why they forced Trump to promise he would not go independent, same for Sanders. The lesson for the working class should be: get out of the two-party system. You can see more on these issues in my earlier posts. I just watched Trump’s Nevada victory speech on YouTube. He crowed that everybody loves him because he won with the highly educated voter, the highly uneducated (he particularly loves them), the fat, etc., and now, he said, “even the Latinos love me”: he won 45% of the Latino votes there. That’s an eye opener for the same reason he said “even” the Latinos loves him. He was as surprised as we are that this group would support him after his attacks on them as a group and as a people. So, what gives? 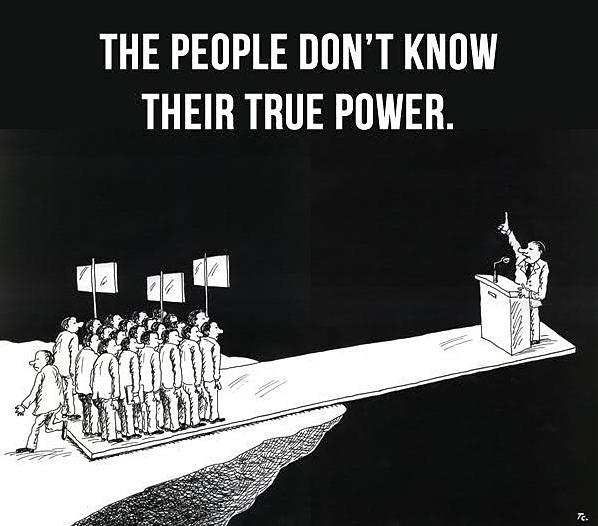 Well, that’s the purpose of this post: a search for any facts that could reasonably explain a highly bizarro picture of the working class people stampeding to embrace the oligarchs who offend and oppress them. I have here some of the pointers deliberately ignored by the MSM. Most MSM pundits, voicing the thoughts of the oligarchy for whom they work, point at voter anger over ‘the establishment’ as Trump’s and Sanders appeal to voters. The elite would have not noticed the level of that anger were it not for Trump and Sander: they are the only ones verbalizing the anger of the working class. I propose that when the MSM describes the Donald’s and Sanders victories as voter anger, the oligarchy is expressing awareness that it is exceeding the levels of oppression tolerated by the population they are ruling over. They have to do something about that, don’t they? But I also propose that the appeal voters see in these two candidates is plain anger, that both Sanders and Trump verbalize angry and violent class sentiments; and that the other qualifiers (‘at the establishment’, ‘at the party’…) are the only licit objects provided by the oligarchy’ media to them over which to discharge their political class anger. It’s not the elite who owns the parties, or the two-party system or capitalism; the problem identified for them by the elite is the politicians who control the parties and sell their souls to the elite: they are the ‘establishment‘. Thus, the voters have no choice but to choose from inside the parties the ones that say what the voters are thinking, not the ones who repeat the same old promises. As in life in general, it usually happens that the ‘different’ ones are the most outrageous and ‘colorful’. Look, Trump and Sanders are ‘outsiders’ inside the two-party system; they have both promised to the powers that be that they will not be ‘spoilers’. Their appearing to be ‘alien‘ to the establishment (pun intended), provides a psychological outlet to the frustrated citizens, but within the safe confines of the two-party system controlled by the oligarchs. It’s a repeat of Obama’s fake anti-Wall Street populism. Trump and Sanders personify, with their angry remarks, working class sentiments and, at the same time, keep the ‘solutions’ within the confines of the two-party system. The message is: There is no class struggle or class wars in the USA, only greedy politicians. Either way, the oligarchs always win. Trapped in the two-party holographic democracy , at the end, after having voted for each party and seeing their misfortunes unaddressed, the citizens see their political power reduced to choosing from between the less of two evils, the party less likely to reduce them to the status of discarded squeezed orange. That’s the purpose of the two-party system, to castrate the working class. The absurdity of voters protecting Trump’s violent, sexist and all other immoral attacks on the working class consist in that they are giving him the power to denounce the system from his own elitist point of view. There is nothing more disturbing and indecent than the working class willingly relinquishing its power to their oppressors: Donald Trump as representative of the interests of the working class. Now, that’s rich. That was a public scolding of Sanders, telling him to tone down his ‘anti-Wall Street’ rhetoric. You see, Lloyd is not afraid of Sanders, a member of the establishment; he is afraid of the out-of-control angry citizens, just as kings became afraid of their angry plebs running amok beheading kings during the ‘glorious revolution’ of 1789. No king or bankster CEO have being able to forget that “dangerous moment” in history. Lloyd even said to the media in 2009 that he would start carrying a gun on his person if people continued to express such ire at him and other crooks over the 2008 financial debacle and the bail out. He is terrified of the angry mob demanding he and his pals be brought to justice for his crimes. Lloyd to Sanders: Don’t you dare use my name in vane, specially after YOU voted to bail me out and said you feel PROUD to defend that vote. People, if your memory has not being yet totally deleted, it should remind you of Obama’s first year in the WH when, after he publicly shamed the banksters and said “My administration is the only thing between you and the pitchforks.”, they ALL marched there to tell him in person to stop badmouthing them who bought him the presidency. It worked in both cases: Obama never again spoke in that tone and refused to prosecute them, despite his campaign promises. Sanders, well, after the scolding and the not-so-veiled threat (“There is a pendulum that swings in markets and also in the political economy as well.”), his plans for WS is to ‘ask’ them to be less greedy. Yet you voted for a number of programs to try to get the economy moving including the Recovery Act, otherwise known as the Stimulus. …I see no reason, except posturing for the naive voter, to believe that he will be a Marx in the White House breaking banks right and left by fiat. The ‘establishment’ is safe and in secure hands with ANY of the candidates as long as they keep the voters confined in the two-party system. When the citizens, as a group, can not correctly identify the source of their anger, it becomes an emotion easily manipulated by experts in molding public opinion and channeled into objects that function as punching bags, defusing their political power. That’s the purpose of the two-party system. The real anger of citizens in the new millennium is...class anger. As for anger over ‘big government’, same deal. The working class delusion is YUUGE, and schizophrenic. It is two-fold: 1) thinking that the problem with ‘big government’ is that it regulates and stifles the elite – they think the crumbs will not trickle from the ‘trickle down’ economy if capitalists are not free to create profits, and 2) that big government is ‘welfare state’, you know, good for the ‘free loader’, (described as anyone below ‘me’ or who isn’t ‘me’). Adopting the neo-liberal ideology is what makes the working class schizophrenic. So, what we are witnessing in this presidential elections is nothing more than the working class having a temper tantrum: big capitalists refusing to drop some crumbs to them. As long as the baby stays in the crib, daddy will be fine. If baby tries to get out of the crib more than twice, daddy is bound to have a fit of anger and seriously spank the baby. 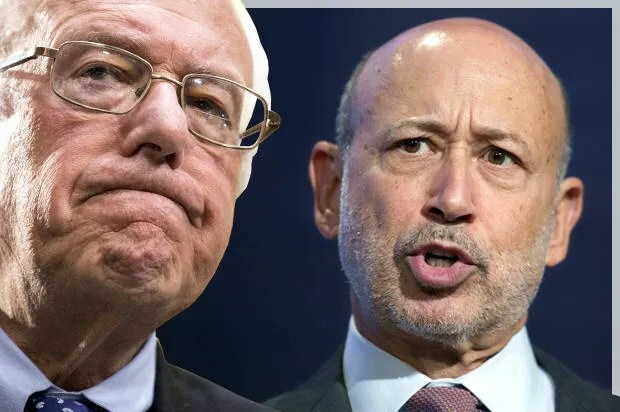 As long as the working class refuses to look at itself in the mirror and see that they have nothing in common with the likes of Lloyd Blankfein, Trump and even Sanders, they will remain like angry babies in the crib of the two-party system. I have discussed here and here the reasons why Sanders is not the ‘socialist revolutionary’ his followers have deluded themselves into believing he is. The only radical revolution his followers can start is creating a third-party; call it whatever, ‘the party of consumers’ or ‘the workers party’, whatever. As long as you are in the two-party system begging for crumbs (reduce student debt, relief from police brutality, reform Wall Street, jobs), that’s what you’ll get: one crumb to quiet you down. I don’t expect them doing that any time soon. We are running out of time. 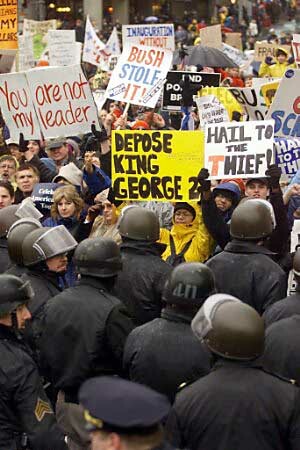 Disorganized we can’t fight against the oligarchs’ wars and the police state. It ain’t gonna be like in the 1940s. The future, with its digital technology, is rendering human mind down to software. I have been ‘bitching’ in this blog about how the MSM has given Bernie Sanders a pass (up to now) on his daring in-your-face socialist-revolution themed presidential primaries campaign. I have given examples of him ‘passing’ but no evidence of the ‘ticket’ itself. Well, I found the pass ticket!! It solves the mystery of why, why has the MSM abstained from unfurling on Sanders the traditional red-scare fear-mongering flag we all expect to be unfurled on anyone who dares to barely whisper the word ‘socialism’, let alone together with the word ‘revolution’. It all starts at The Brookings Institution, a preeminent influential elitist’s (the ‘10%érs’) think-tank where all presidential candidates are vetted by the representatives of the oligarchy. Long-shots candidates like Obama and Sanders go through the same ‘investiture’ ceremony as regular establishment candidates do. Get Brookings blessings and you have a real shot at the presidency; and to get their blessings all you have to do is promise them that, if you win, you will work for them. In this post I deconstruct the ‘conversation’ that served as the official public ordination of Sanders at Brookings with the representatives of the elite and the elite MSM, E.J. Dionne as moderator. The conversation is an outstanding example of Orwellian language hiding the ‘Wall Street revolution’ behind Sanders’ populist ‘revolution’. Yes, for them suspicion breeds confidence. At the end of the conversation you will see that Brookings finds Sanders to be a valuable partner they can count on to defend WS when they need it the most. Also, consistent with E.J. Dionne’s admiration for Sanders, every time you read an article of him about the primaries in the MSM, rest assured it is in Sanders favor, whether the headline has Sanders’ name or not. That is payback to Sanders in MSM currency for his vote and defense of the Stimulus Package bill, the bailout of WS. The Hamilton Project is an economic policy initiative at the Brookings Institution. You will see in this post, among other things, how Sanders and Dionne ease Wall Street’s angst about him, how Sanders qualifies his ‘socialism’ as low as “somewhere where Pope Francis is,“; he dispels fears that he may want to take “the means of production”; you’ll see him telling them how PROUD he is of defending his vote for the Stimulus Package bill that saved the WS crooks. You’ll see Sanders asking for the MSM support. As you have seen so far, WS has been happy to abide by his petition. Also, the Keystone Pipeline? He promised them, if he wins, it will not be “a priority” of his administration. Note: This is the same investiture process I discussed in 2008 to show Obama’s promises to the elite. On Monday, February 9, 2015, The Brookings Institution hosted Sanders for a ‘conversation with Senator Bernie Sanders” (transcript). While the activity was promoted as part of “our ongoing conversation on the future of our economy and of shared economic growth“, its real goal was to 1) dispel any concerns among its members about Sanders’ ‘socialist’ trappings, and 2) to let the MSM elite selected for the activity ask, for their clarification, the questions that will not be asked in public about his ‘ideology’. These people know the right questions to ask, as opposed to the little people trained to follow lovable personalities and to not ask questions. …it is a pleasure to welcome a self-described proud democratic socialist here to Brookings. These days the word “socialist” is thrown around as an epithet, and the socialists I know are insulted when President Obama’s called a socialist because they argue he is too moderate to be a democratic socialist, but the thing we forget is the vibrancy of the democratic socialist tradition in the United States, and bear in mind we’re talking democratic, small “d” socialist, i.e., Scandinavia, not the old Soviet Union, and that in the American tradition we are talking about people from Eugene Debs to Norman Thomas to Michael Harrington to people today like Barbara Ehrenreich. This is a lively American tradition that has influenced policy in our country in a great many ways, and so it is refreshing to have a senator who doesn’t run away from a particular part of our American tradition. Holy moly! That was the mother of all whitewashing. I didn’t know the oligarchy was proud, PROUD! of this nation’ “socialist tradition of democratic socialism” and of Eugene Debs – the same guy they sent to die in prison (released shortly before dying) for being a “proud socialist”. I didn’t even know there was a “tradition” of socialism here. Live and learn, people; live and learn. I had to read it at the Brookings Institute. Now, let’s analyze the rest of E.J.’s introduction. This is what Debs was fighting against and for which he was sent to prison. When The Brookings Institute says they are “proud” of that history, they mean they are proud of having won over the socialists and of sending Debs to prison. 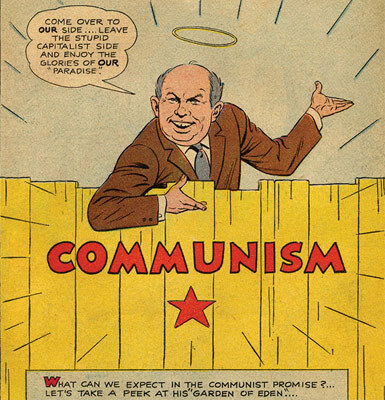 It was the beginning of the very successful red scare bait. First: This is the Brookings presenting Sanders to its members and the select MSM workers. That means they had already vetted Sanders at closed doors and found him kosher to be consumed by its group. They then fed the members a scripted ‘conversation’ to dispel any fears and to cast their approval on Sanders, not only as non-threatening ‘pinko’, but actually as a highly palatable presidential material. Thus Dionne’s intro, “it is a pleasure” is code for ‘we like him a lot, don’t be scared of the socialist’. For him, the word socialist is an “epithet‘ to describe a person, not a philosophy, and gives Obama (accused of being a socialist in the 2008 primaries) as an example of how safe that type of socialists are. Dionne artfully dispels the fears of ‘socialist” candidates by referencing Obama’s socialist detractors to qualify him as not–a-socialist. Dionne doesn’t have to say it himself and the Brookings is not on record saying that Obama (and Sanders) are not socialists; socialists themselves did the work for the elite when they undressed Obama of his ‘socialist’ garment. Dionne knows his craft: he doesn’t have to be on record admitting that Obama and Sanders are no threat to the ‘establishment’. (Still on that first quote.) Then, don’t be afraid of Sanders’ socialism: it comes with “small ‘d’“, meaning small democracy, nothing they can’t handle with their big ‘c’ for ‘big capitalism’. By mentioning Debs, they remind their membership, in masterful Orwellian fashion, that they know how to handle unruly socialists. This is not the Soviet Union, here socialism is a “lively tradition”, is…like fun. Do you really think that Dionne and Brookings elite have admiration for Debs? It’s high quality spin. A socialist “lively tradition” means the traditional class wars that are part and parcel of capitalism. And as with all class wars, it is very lively indeed, action packed with marches and police beatings…where the labor movement loses most of the time. So, it is “refreshing‘ for Brookings to have Sanders, who doesn’t run away from a PARTICULAR part of that tradition. Which ‘part’ is that? That was very cryptic, wasn’t it, with no specification of what Dionne meant by it. Also, we all know how the lively class wars have influenced our policies: Taft Hardly and other policies to restraint the working class demands. You see, they don’t have to clarify how the labor movement (‘socialism’) has ‘influenced our policies’ because they know. Language allows them to not be specific when a group of people share the same values. You are thinking “influenced our policies” means, for example, good labor policies (8 hrs shifts), but they are thinking Taft Hardly. Do you think they are proud of the labor movement achievements in labor policies, or proud of the Taft Hardly anti-labor policies? Our angry youngsters who have seen the video of this ‘conversation’ think that Dionne was truly praising socialism in the USA. Reading between the lines is important when you are dealing with the oligarchy. But let’s continue. …so when we have Senator Sanders and Senator McCain working together, we can produce miracles in public policy. McCain is code for the republican party. It’s not ‘I can work on both sides of the isle’; it’s more like ‘I have your back’. You’ll see below. And while Senator Sanders will not be talking about miracles today, I will close by saying that he is a fan of Pope Francis. MR. DIONNE: Thank you, Senator Sanders, for that carefully hedged, cautious, political (laughter) speech. MR. DIONNE: Yeah, this is a moderate version of this speech. He doesn’t want to…scare them, is what that interaction means. Dionne saved him from saying the words. Are they afraid he is going to nationalize the means of production? NOOOOO WAAAY. [E.J.] In this long list of proposals you do not propose public ownership of the means of production, distribution, and exchange, and you are very critical of the way capitalism works, but what is your view of the market economy in general and capitalism in particular? SENATOR SANDERS: Well, in that regard I think I come down somewhere where Pope Francis is, who I think, by the way, has played an extraordinary role in the last several years in raising issues internationally that have not been raised by such a prominent figure. Mother of God!!!! His socialism is based on Pope Francis!!! That’s all he has. People:it can’t get any safer for them than that, unless he speaks approvingly of capitalism. [Sanders] so, E. J., capitalism does a lot of good things. It creates wealth. Wealth?! For who? He doesn’t have to say it because they all get his drift. And this ‘harping’ is acknowledged and dismissed for what it is: political posturing. [E.J]…you have a pretty tough litany of what’s wrong with the economy as it exists…Yet you voted for a number of programs to try to get the economy moving including [there were others] the Recovery Act, otherwise known as the Stimulus. Now, that was music for Wall Streets representatives’ ears there. You see, the Sandernistas refuse to ask the right questions, instead they find excuses when confronted with his pro-Wall Street votes. You can be sure that WS doesn’t forget what he did for them. It’s payback time people. MR. DIONNE: Is there a place for something like Wall Street in a Bernie Sanders economy? SENATOR SANDERS: Well, look, banking plays an important role, obviously, in our society, and in that I’m pretty conservative. Avoiding the question of whether he wants the Working Families (socialists) endorsement. SPEAKER: Do you view the Working Families Endorsement of Elizabeth Warren as a setback? SENATOR SANDERS: Well, I’m not sure that Senator Warren is going to be running for office. [Sanders] I do not disagree with the air attacks that the United States is coordinating, for example. What I just don’t want to see is a ground presence and never-ending war. The Keystone Pipeline: not a priority for his administration if he wins. [Sanders] …but if you were the Republican Party or any group of people you really think that you would put up the Keystone Pipeline as your first order of business? I’m against the Keystone Pipeline; fought it very hard, but there are people who disagree with me. [WS, for example, whom he will have to listen to]. Do you really think that a Canadian pipeline which will provide 35 permanent jobs is the most important issue facing America…? The way the ‘conversation’ ended is telling too. Sanders asks, in not so veiled manner, for the MSM support in exchange for him running on the democratic side and not being “a spoiler”. And E.J. makes a subtle quote of Lenin, showing that they, the capitalists, know their communists. [Sanders] [[Asking for help from the MSM]] Will the media cover you if you run as an Independent? So, these are some of the issues that I’m wrestling with. I’m not telling you NOT to vote for Sanders. All I’m trying to do is making you aware that a vote for Sanders is NOT a vote for revolution nor for socialism. Considering that the Sandersnistas don’t ask the right questions, they don’t know which of the many definitions and tonalities of ‘socialism’ Sanders has in mind. The Brookings are clear, though. Also, Sanders is very clear that he speaks about the “1%”, and some times the “0.1%”. In other words, all those WS honchos who are big millionaires but not billionaires, the ‘10%’, are part of the group his ‘revolution’ is going to protect. But they are part of the problem too. It is highly improbable that anyone with over 20 million bucks has the interests of the unemployed and poor in his or her mind. And yet, that person is not technically part of the 1%. Sanders is more a neo liberal than a socialist. If you want to know how acceptable a politician is to the elite, see if the Brookings invite him or her and what he or she says to them. Again, I researched this for Obama in 2008, I can see that Sanders is following the same path of his lukewarm socialist predecessor. I don’t speak about Hillary here because she is not the one running promising a revolution. We all know what to expect from her, she is in the system. So there. Voting for Sanders means pushing the real revolution back another 20 years. If you want a revolution, you must leave the two-party system and create a truly progressive third-party or join those already there. Also, I consider more important getting seats in Congress than the presidency. Progressives don’t have to get caught up in the presidential elections.